"Is It Possible" is the Wrong Question - Ask Leo! Yes, it's possible. But you might want to ask a different question that will result in a more helpful answer. There are two problems with these questions: they all have the same answer, and they’re all the wrong question to be asking. I mean that literally: when it comes to technology, if you can conceive of it, it’s almost certainly within the the realm of possibility. Yes, it is possible you’ve been hacked. Yes, it is possible you may be able to recover a ten year old email. Yes, it is possible your video chats are being recorded. 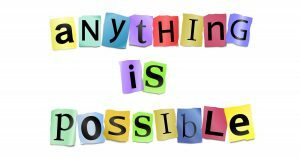 Almost every question I get asked that begins with the phrase “is it possible” has the same answer: yes. I get that this isn’t a helpful answer, but that’s because it’s the wrong question to ask. If anything is possible, what we really want to know is how likely something is. The problem, of course, is that we want simplicity. We want yes or no answers. A yes or no answer is an absolute. It makes our decisions easier. “How likely” is a probability, a chance. Rather than being absolutely yes or absolutely no, the answer lies somewhere in between. And that’s where things get messy. How likely it is that you’ve been hacked depends on factors such as your situation, the clues that have that led you to raise the question, your personal security measures, your own common sense, the services you use, the hardware you use, and the security involved in each. Even with the best security, it’s unlikely, but still possible, that you could be hacked. How likely it is that you may be able to recover a ten-year-old email depends on things like your email provider, how they back up, whether or not you backed up, what email program you use, how it’s configured, and even whether or not you have a court order in hand to force recovery of information. If the stars all align, it’s possible, but generally unlikely. How likely it is that your video chats are being recorded depends on things like what country you live in, what technology you’re using, how trustworthy the person at the other end is, and more. Depending on those things, it could be very likely that your chat is being recorded somewhere, or it could be extremely unlikely. There are no “yes” or “no” answers because everything depends on the specifics of the situation. And every situation is different. If you’re just looking for an absolute yes or no answer, you’re missing important nuances. The devil is in the details, and the only way to make an informed decision is to understand more of the ramifications of some of those details that are lost when all you have is a yes/no expectation. Depending on the details, you may realize it’s highly unlikely you’ve been hacked, and can take no further action. On the other hand, you may realize something that means you need to act, and act quickly, because, indeed, you probably are being hacked. Depending on the details of the services provided by your email provider, your own backups, and perhaps even the law, it might be worth trying to get that ten-year-old email back. Or you might realize it would be an almost impossible waste of time and/or money, and choose to move on without it. Depending on who you’ve been chatting with over video and the details of how it was done, you might decide to avoid that medium in the future, or you might elect to continue to use it as an effective way to communicate. It all depends on the details, and it all depends on your understanding that those details matter. It’s uncomfortable to get “maybe” as an answer. It can even be frustrating. My Favorite Question - My favorite question? You'll never guess. « Previous post: How Can a Hacker Try All Possible Passwords If Systems Block the Login Attempts? I would like to note that this does not apply only to technology, but to life itself. Is it possible I’ll with the lottery, marry Miss America, and live happily ever after? Yes, but it’s unlikely. If only people would think like this all the time! If this artical is to do with an auto sorting program I can understand. Otherwise I think you may have had a bad day and were feeling testy because it seems trivial and is just splitting hairs don’t you think? “Auto sorting program”? Now that comment I don’t understand. How does that relate. No, this is more an observation of 14+ years of doing Ask Leo!. Answering questions is just part of the job. One of my ulterior motives is to also help people understand their technology and learn to ask the right questions so as not to get quite as frustrated with both the situations they encounter and some of the answers they’ll get. In my experience people really do want “yes” or “no” answers, and it’s important to understand why those can’t be had, and when they really need to worry (which is not usually 🙂 ). As one who answers questions, often I’m tempted to sarcastically answer yes to an “Is it possible?” question and leave it at that. After all, it is the correct answer to that question.